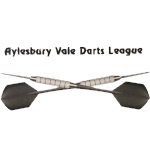 The Aylesbury Vale Darts League is played on Monday evenings across the Aylesbury vale area with teams playing in Aylesbury, Aston Clinton and Tring. The seasons are split into two, with a Summer league running between May and October, and a Winter League running from November through April. Just a quick reminder about the AGM on Sunday for the Summer League at 1pm at the Ex-Services Club. The Chris Parkyn Memorial Trophy is to take place on the 11th April 2015 at the Ex Services Club 2pm start!!. The Winter League season has finished and the league tables are final. The draws for the 2 competitions were made just a while ago by a neutral Leroy Carter. The competition to be held on Monday 23rd February is a mixed triples night! Consisting of 2 men & 1 woman. The draws for the cups semi finals will be held on Sunday 22nd February at 1pm ex services club, all welcome to attend. The draws for the 2 cup competitions were made yesterday. We will be making the draws for the cup comps (Quarter-Finals) on Sunday 25th at 1.00pm at Ex-Services Club. The draw has been made for the First Round of the Team Knockout Cup. The draw for the ko cup 1st round will be held on Wednesday 17th December at 8pm. Announcement for the competition to be held on 22nd December. Reminder for the Presentation Evening to be held on 1st November at Ex-Services Club from 7:30pm. There is nothing in the schedule. There are no seasons currently running.